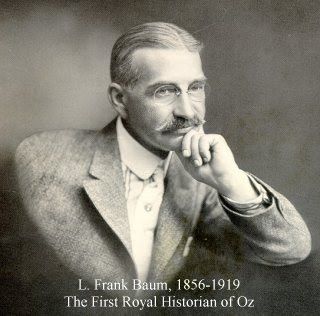 The Wogglebug Book was published in 1905, during L. Frank Baum's attempt to turn The Marvelous Land of Oz into a musical . 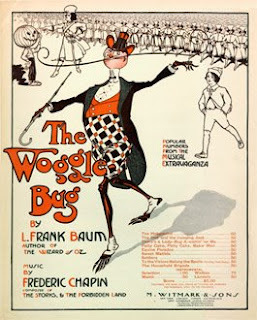 Very few of these exist for they were fragile and rare.Baum collaberated on also writing songs for the woggle bug and various buttons were issued to go along with the publication. There was a play and a contest in the newspaper regarding the story also.There were two states of this book. The first state has a blank back cover and the second state has a yellow marking on the back. Very rare in any condition. 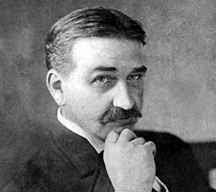 L. Frank Baum and wife Maud. 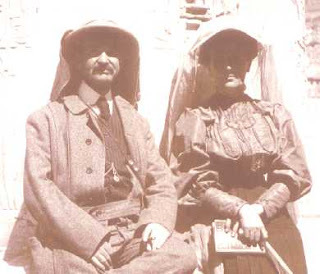 His lifelong love and companion.She never remarried upon Franks death in 1919. 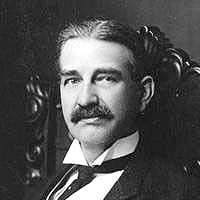 BAUM,L.FRANK. 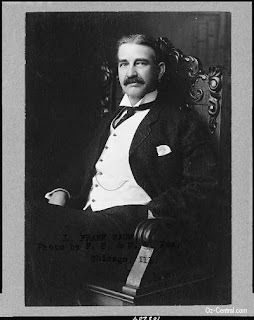 L. FRANK BAUM'S JUVENILE SPEAKER. : Readings and recitations in prose and verse humorous and otherwise. Chic. 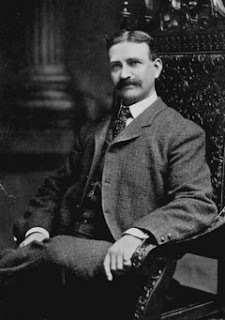 : Reilly & Britton (1910). 4to, tan cloth pictorially stamped in red black and silver, 196p. + ads, FINE. 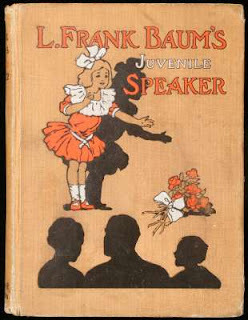 Baum wrote this book for use in schools as an aid in teaching public speaking. 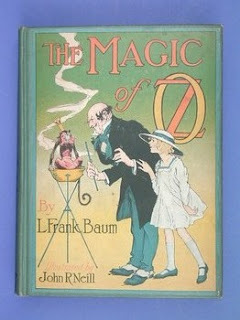 This book for children contains Baum's selections from what he considered some of his best stories plus he provided introductions for stories that originally formed parts of complete books. It contains selections from the Oz books, Father Goose, etc. as well as previously unpublished works like Prince Marvel, a playlet for children based on the Enchanted Island of Yew. 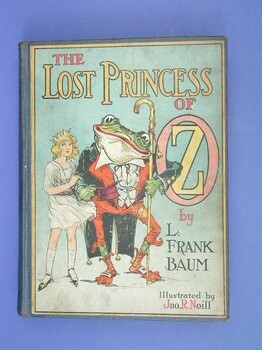 Illustrated by JOHN R. NEILL and MAGINEL WRIGHT ENRIGHT in black and white. 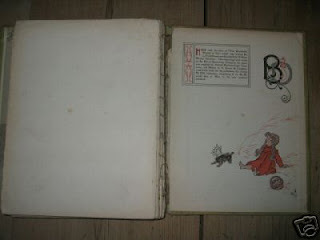 rare Baum book. 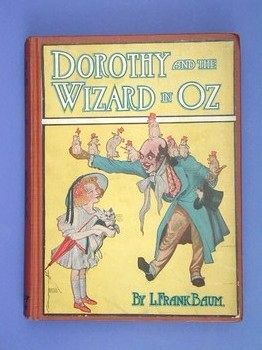 This is the last collaberation for Denslow and Baum and they had a falling out shortly after the Wonderful Wizard of Oz. This was originally published by George Hill (same publishing company that did The Wonderful Wizard of Oz and then later by Donahue. A New Wonderland. 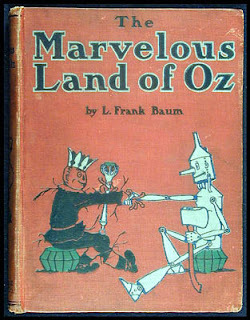 This was the first children's book written by Baum, before Mother Goose in Prose, but it didn't get published until after The Wonderful Wizard.New Wonderland itself was published later due to the problems Baum had in getting it published before he had success with Father Goose (which was a huge success for him with six editions with first one being only 5700 in number). 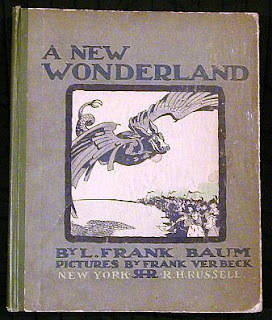 Very few wonderland books exisit today and extremely rare. 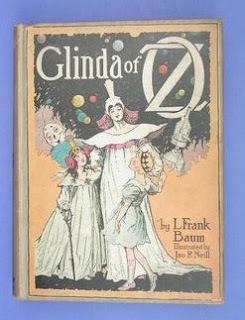 As this last Oz story from L. Frank Baum opens, Dorothy Gale and Ozma have been dispatched by Glinda on a peacekeeping mission. It appears that war is imminent between two of the Oz peoples; the Flatheads and the Skeeters. The Flatheads (so named because the upper portion of their heads are missing leaving their brains subject to loss), live in a mountain top citadel and are led by the despotic Su-dic, who is preparing to attack the Skeezers. The Skeezers are led by a domineering young queen, who has a dark secret. 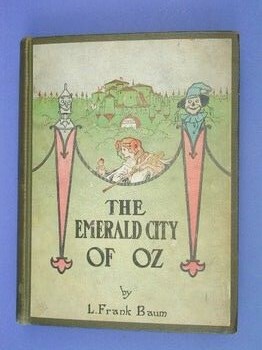 After successfully dealing with a number of challenges as they penetrate to the far corner of Oz where these two groups live an isolated existence, Dorothy and Ozma discover that the Skeezers live in a glass-domed city in the center of Magic Lake. For added defensive measure, the island and its city can be lowered into the lake until it is completely submerged. Dorothy and Ozma soon learn that the two strong-willed leaders are not to be dissuaded from war, and that intervention will be needed to avoid a disaster for the people. 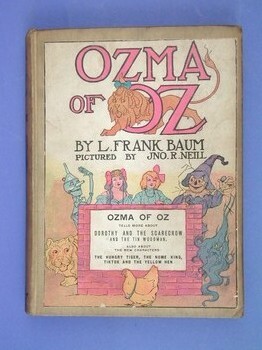 So Ozma returns to the Emerald City, obtains consent from a Council of State of the leading personages of Oz, and launches an expeditionary force to intervene between the Skeezers and Flatheads. But before they can arrive, Dorothy discovers the real secret of why the two leaders are carrying their people into war, and obtains help from a young Skeezer boy, Euric, to correct the situation. But first she must discover the magic to escape from the submerged city and foil the initial attack by Su-dic. Euric proves resolute and courageous on his quest, braving very powerful magic from Reera the Red, a witch who hold the key to success. This enchanting tale keeps the reader engrossed in the mystery surrounding the conflict between these two Oz peoples, and how it will be ultimately resolved in the best of Ozian traditions. In this tale of magical intrigue, Ruggedo is once again up to his old tricks, seeking revenge on Ozma and Dorothy and trying to conquer the Emerald City. In his wanderings after being deposed as the Nome King and deprived of all his magical powers, he encounters a young Hyup boy, Kiki Aru, who has learned how to cast transformation spells. Led by Ruggedo, they hatch a wicked plot to enlist the animals of the Gugu Forest to overpower the people of Oz and claim the throne for themselves. Meanwhile, in the Emerald City preparations are underway for Ozma's birthday. In the search for new and unusual gifts, Trot and Cap't Bill are led by the Glass Cat to the far north of the Munchkin Country in search of the Magic Flower. They become trapped on the island which houses the flower, surely to die if help does not quickly arrive. While this is happening, Dorothy has determined to give Ozma a Surprise Cake, so named because it is to be filled with twelve dancing monkeys. This quest to find such an entertaining cake filling turns into another great adventure in Oz. In this most enchanting tale, they must deal with the Nome King and Kiki Aru, and find a way to rescue Cap't Bill and Trot. 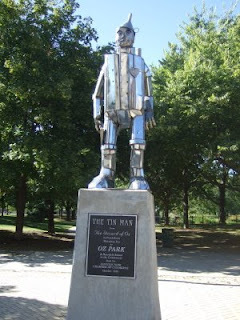 The Tin Woodman of Oz is a story of a heroic effort to regain a lost love. 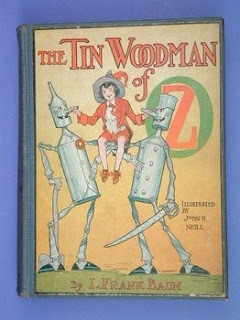 The adventure has its beginnings when the woodman explains to a young Munchkin boy, Woot, how he came to be made of tin. It is a story of an ill-fated love between two Munchkins, Nick Chopper and Nimmie Amee, that so enraged the Wicked Witch of the East she caused the woodman to have accidents with his ax. After each accident the lost meat and bone parts were replaced with tin parts, until finally Nick was all tin. Nimmie Amee loved him just as much even though he was tin, but unfortunately he no longer had a heart so he could not return her love. After all these years have gone by, his sense of obligation and responsibility to Nimmie Amee is aroused by Woot; so together with the Scarecrow, he sets out to find and marry the Munchkin maiden. But their adventure seems ill-fated when they fall under the control of a giant wizardess. Ozma and Dorothy witness their plight through the Magic Picture and come to their aid. Together again, they set out once more to find Nimmie Amee, only to discover to their amazement, there is yet another tinman -- the Tin Soldier. He too was a Munchkin engaged to marry Nimmie Amee, but suffered the same fate as the woodchopper at the hands of the Wicked Witch of the East. Joining their party, the Tin Soldier also seeks to redeem his lost love. When at last they find Nimmie Amee, there is yet another surprise. This engaging tale by Baum must be regarded as one of the most inventive romantic stories yet told. The twist of fate revealed in the climax makes for a most enjoining experience. The Lost Princess of Oz tells a story of intrigue and mystery in this fairyland home of many famous and charming people and creatures. 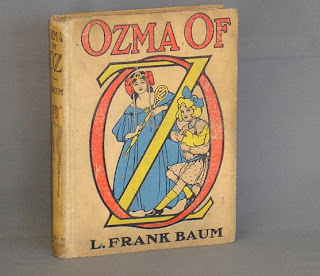 It begins with the discovery of a great calamity -- all the principal magic of Oz used by Glinda the Good, Ozma, and the Wizard of Oz to aid and protect the Ozites has been stolen; and Ozma herself has inexplicably disappeared. Dorothy and her friends set out on a grand quest to find Ozma and save her from what surely must be a perilous predicament. Meanwhile, in a far corner of Oz, a Yip named Cayke discovers her magic dishpan has been stolen. This terrible state of affairs must be corrected because the dishpan has been in her family since the beginning of time and is needed to bake her famous cookies. Accompanied by a local celebrity, the Frogman, they descend from their mountain homeland to seek out the thief and recover the magical dishpan. After a series of challenging adventures, the two search parties encounter each other and join forces to confront the culprit. 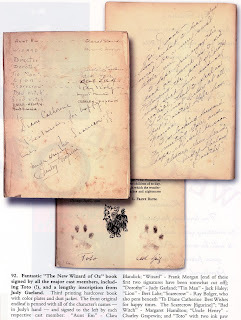 This inevitably leads to a number of serious challenges they must face in order to recover the purloined magic and restore peace and harmony to Oz. 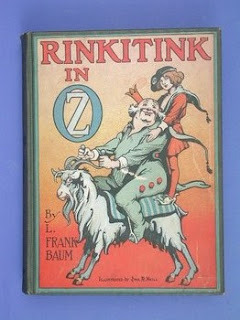 Rinkitink of Oz is a tale of high adventure beginning in the islands of the Nonestic Ocean and eventually culminating in the darkness of the Nome King's Caverns. Rinkitink is the fun-loving runaway king of his eponomous land who accompanied by his beast of burden, a surly talking goat named Bilbil, makes his way to the beautiful and peaceful island of Pingaree. His timing, however, is poor for soon after his arrival the island is overrun by a marauding band of warriors who loot and pillage the entire island and carry all its inhabitants off to slavery on the twin islands of Regos and Coregos. Rinkitink, Bilbil, and the young Prince of Pingaree, Inga, escape capture and with the the help of three magic pearls they set out to rescue the Pingareeans and Inga's father and mother, King Kitticut and Queen Garee. After some successes and failures, they ultimately win the day and free all the slaves on the islands. But not before the wicked King Gos and Queen Cor escape with King Kitticut and Queen Garee as hostages. Don't be fooled by the title. This isn't really a story about the Scarecrow; it is a tale that combines the adventures of new visitors to Oz who get mixed up in a royal love story. The newcomers to Oz are Trot and Cap't Bill. First introduced by Baum in The Sea Fairies and Sky Island, their first trip to Oz is by way of a whirlpool that deposits them in a cavern deep under the sea, and a strange flying creature called the Ork, that carries them to Jinxland, one of the remote outer regions of Oz. Along the way they have several amusing adventures and are joined by Button-Bright, a little boy from Philadelphia whose most predictable trait is to get lost. In Jinxland they engage in a dangerous and deadly encounter with a powerful witch who is aiding the king in his cruel plan to marry his daughter to someone she does not love. The daughter (Princess Gloria) is really in love with the gardener's boy, Pon. 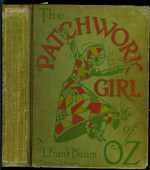 Learning of the desperate situation in Jinxland, Glinda the Good dispatches the Scarecrow on a rescue mission. 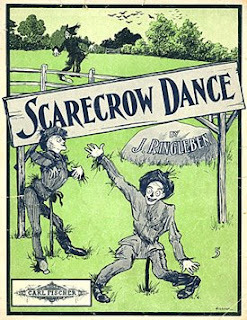 But the Scarecrow is no match for the powerful witch and finds himself in his ultimate nightmare, being burned at the stake. 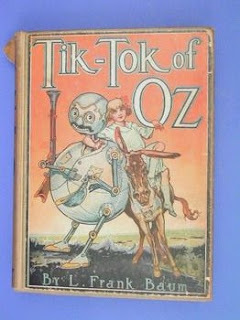 In Tik-Tok of Oz, the stalwart mechanical man goes to war when he is pressed into service as the only private in Ann Soforth's army. This restless Queen of the Oogaboos has set out to conquer Oz and the world beyond, but alters her plans to help the Shaggy Man rescue his brother from imprisonment by the Nome King. Joining this adventurous band in their quest is Betsy Bobbin, a young girl from Oklahoma, and her mule, Hank. Along with other magical fairies from the lands of Oz, they confront the Nome King; but not before this wiley creature has sent them through the earth to the other side into the mystical kingdom of the Private Citizen. This trick proves to be Ruggedo's downfall when the Private Citizen dispatches his Instrument of Vengence to remove the Nome King from his throne. In the end this great adventure concludes happily as the Oogabooians return safely home and Betsy, Hank, and the Shaggy Man and his newly freed brother are accepted by Ozma as permanent citizens of the Emerald City. 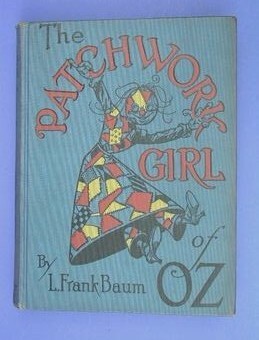 The magical practices and potions of the Land of Oz is the thread running through The Patchwork Girl. The story begins with a visit by a young Munchkin lad, Ojo the Unlucky, who with his Unc Nunkie visit a reclusive magician, Dr. Pipt. The old sorcerer has just completed the six year task of brewing a spoonful of the Powder of Life, and is preparing to administer it to a life-sized rag doll made by his wife Margolotte. The intent is to create a servant to help his wife in her chores, but unbeknownst to the magician, Ojo doctors the doll's brains. In the confusion that erupts as the Powder of Life performs its miracle, Margolotte and Unc Nunkie are turned into marble statues and the Patchwork Girl is brought to life quite unfit to ever be a servant. To restore life to the two hapless victims, Ojo undertakes a quest to find the ingredients for an antidote to the enchantment, accompanied by the Patchwork Girl and the Glass Cat, another creation of Dr. Pipt. A series of adventures ensue, as they brave new challenges and meet new and amazing peoples and lands in their hunt for the magical ingredients. Through the trials of this grand quest Ojo learns that he is no longer presumed to be ill-fated by circumstance of birth, and is known henceforth as Ojo the Lucky. Note: This is considered a direct sequel to The Emerald City of Oz. This new adventure into the fairylands of Oz is witness to the impending destruction of the Emerald City. The evil Nome King is determined to recover the Magic Belt from Ozma, and to aid in this terrible scheme he enlists a number of very powerful and frightening creatures. Their aim is to tunnel under the Deadly Desert and emerge in the unsuspecting Emerald City and lay waste to it and the Lands of Oz. Meanwhile, Dorothy and her Uncle Henry and Aunt Em move to the Emerald City to live after life turns too hard in Kansas. 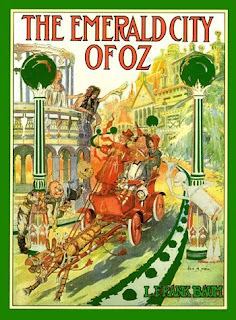 They go on a grand tour of Oz, visiting many amusing and entertaining lands and their people. They arrive back at the Emerald City just in time for the final assault by the invading armies, and witness a surprise ending that can only happen in the Land of Oz. Dorothy begins this new adventure into the fairylands of Oz when an earthquake splits the earth open under her. She, her kitten Eureka, her cousin Zeb, and a horse named Jim fall into the hole and land in a city of glass. This land under the earth is home to a cold, heartless vegetable people. Dorothy and her friends are joined by the Wizard of Oz and nine piglets, and then make their way through a series of dangerous lands trying to find their way back to the surface of the earth, and home. They wander through the Valley of Voe, which is inhabited by invisible, deadly bears. Here they learn how to walk on water to escape the bears. They make their way through the inside of a mountain and emerge in a dead and soundless world inhabited by wooden, flying gargoyles. Escaping these menacing creatures, they find themselves in a den of young dragons. Finally, just when it seems they are doomed to die imprisoned in yet another underground cave, Princess Ozma sees their plight and rescues them. This adventure begins as Dorothy Gale is blown overboard in a storm at sea while enroute to Australia. With her is a yellow hen named Billina. They wash ashore in Ev, a fairyland across the Deadly Desert from Oz. 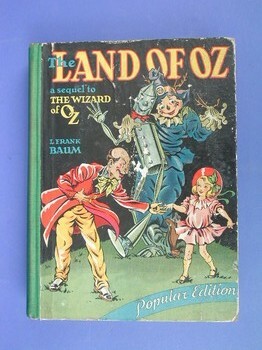 Here they find a mechanical man, Tiktok, and meet Princess Ozma and her friends and the Oz Army. They join Ozma on her quest to free the Queen of Ev and her children from the underground caverns of the Nome King. The Nome King has used his Magic Belt to imprison the royal family of Ev as bric-a-brac in his underground palace. In this first sequel to The Wonderful Wizard of Oz, the adventures of a young boy named Tip are followed as he escapes the grasp of an old sorceress named Mombi and travels to the Emerald City to start a new life. In the process he creates two new companions, Jack Pumpkinhead and the Sawhorse. 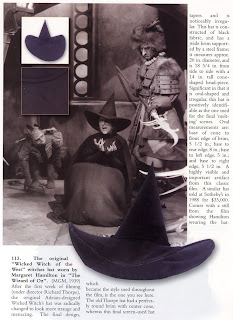 They are brought to life using a magical powder that Mombi obtains from a reclusive magician. 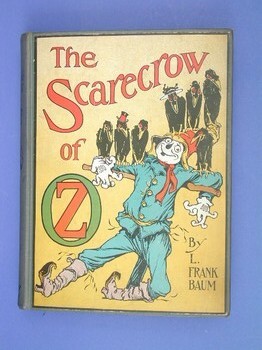 Tip gets mixed up in a rebellion led by a young woman, Jinjur, who overthrows the Scarecrow as the Ruler of Oz. This is the story that started it all. It begins when a little Kansas farm girl, Dorothy Gale, and her dog Toto are blown away in a tornado and land in a fairyland named Oz. Here she meets a very unusual cast of characters - the Scarecrow, Tin Woodman, and Cowardly Lion, and together they go on a quest to see the Wizard of Oz, each of them seeking what they want most in life. Making their way along the Yellow Brick Road through a series of hair-raising encounters, they arrive at the Emerald City only to be told by the Wizard that they first must kill the Wicked Witch of the West before he will grant their wishes. They eventually overcome many dangerous challenges and dispose of the witch (although quite by accident), and return only to find that the Wizard is really just a humbug. He craftily addresses everyone's wish but Dorothy's, which is to return home to Kansas. So once more Dorothy and her friends set out, this time to find the Good Witch of the South. These last adventures end happily with Dorothy and Toto returning home, thanks to something she had all along. 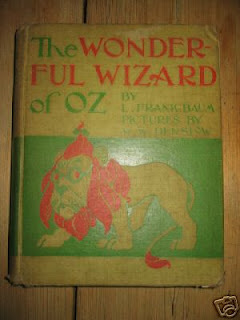 1900 when he wrote the book, The Wizard of Oz, he told a group of children about a wondrous place. “What’s it called?” they asked. Caught without a name, Baum looked around his office, saw the file drawer labeled “O-Z,” and the rest is history. Frank BaumWho invented the image of the character, Toto? Baum described the fictional dog’s appearance and temperament in his stories but never designated a specific breed. 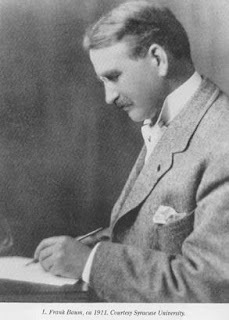 It was Baum’s illustrator, W.W. Denslow, who used his own pet Yorkie as his inspiration for the original drawings in the book. What about the dog who played Toto? Well, that’s quite a story. 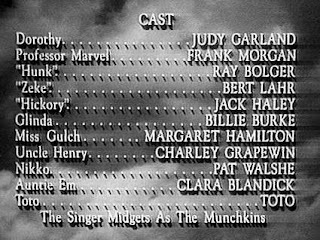 According to reports, casting humans for “The Wizard of Oz” was easy compared to casting Toto. MGM Studios had to find a dog that looked like the drawings in Baum’s book, but no one could recognize the breed that Denslow had drawn. Then, along came Terry, a Cairn terrier belonging to well-known Hollywood dog trainer, Carl Spitz.The Cairn had “officially” arrived in America fifteen years after Baum’s book. Scrappy, courageous, comical, mischievous, twinkling eyes, a funny, wee nose, lively, playful, devoted, steadfastly loyal, Toto never left Dorothy’s side except to chase something important or to save her life. An elderly couple from Pasadena, California brought Terry – a difficult pup born in 1933 – to Carl Spitz. The pup was painfully shy and hid under the bed, refusing to come out for weeks. Spitz eventually succeeded in helping her overcome her fear and made sure she was house-trained, but Terry’s owners never came back to claim their pup. Nor did they pay Spitz. Terry remained with Spitz, who was doubtful that the nervous dog could ever cope with the demands of the Hollywood movie set.There are two versions of the story about the discovery of Terry as a movie star. According to one source, the director of MGM visited Spitz’s kennels one day, looked at Terry and decided that she look perfect for the role of Dorothy’s dog, Toto. The other story is a little different. 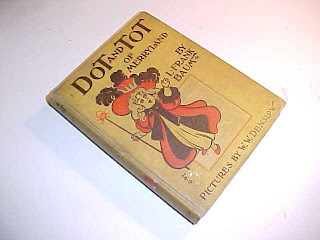 Carl Spitz learned about the search for a dog to play Toto, saw the drawings from Baum’s book, decided that Terry was perfect and took her to the movie studio where all agreed that she was indeed the real Toto. 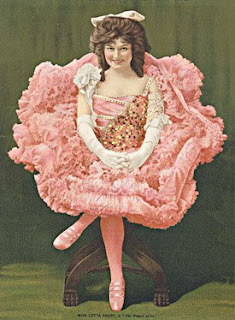 Regardless of how she really got the part, Terry was five years old when she was discovered and became a star that would delight generations to come. Dorothy and TotoDespite producers’ concerns over Terry’s temperament, Spitz and Terry proved to be a great team and Spitz trained her to obey silent cue commands. Judy Garland and Ray Bolger, who starred in the film, commented that the little dog was “ willful, stubborn, and difficult during rehearsals.” But in fact, the little dog was a trooper. When the lights came on and the cameras rolled, Terry was a “professional” despite her fear of the powerful wind machines used on the movie set, and of the actors who played the wicked witch’s soldiers who accidentally injured her foot. She even had to play a “male role,” and respond to a different name for the movie. The contemporary musical group, Toto, named themselves in her honor.The stuff of a true legend: Terry starred in numerous Hollywood movies with such stars as Shirley Temple and Spencer Tracy. At the end of her career, she returned home to Carl Spitz’s Hollywood kennel where she enjoyed a happy retirement until her death in 1942. Spitz buried her at a pet cemetery on the grounds of his Hollywood Dog Training School in Southern California. Many years later the land was bought for the expansion of the Ventura Freeway. Willard Carroll, the owner of the world’s largest collection of Wizard of Oz memorabilia, unearthed a treasure in the rubble that had been the pet cemetery. It was a metal box that contained a leather-bound scrapbook of about 100 yellowing pages recording the “rags-to-riches” story of the little dog that played Toto in the movie. The scrapbook was crafted into a first-dog account of Terry’s life from her days as an abandoned pup to Hollywood stardom and happy retirement. 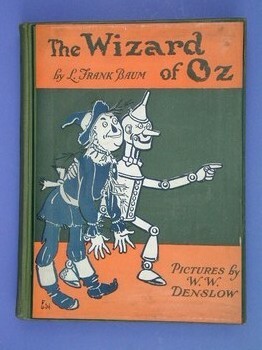 It also tells about her co-stars and the making of “The Wizard of Oz.” “I, Toto” by Willard Carroll is available today. 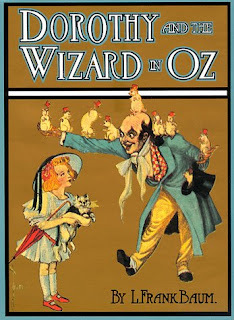 The movie version of “The Wizard of Oz” is offered on video and DVD and worthy of any collection of classic movies.Toto facts to ponder: As a matter of comparison, Terry, the Cairn Terrier that started it all, earned $125.00 per week in 1939 for her work in “The Wizard of Oz” where she endured frightening work conditions, injury on the movie set and ordinary food. In contrast, Mickey Rooney’s 1990’s stage production of “The Wizard of Oz” featured three Cairn terriers in the role of Toto and each was given a private van, a dressing room, separate doggie beds and gourmet dog food. More recently, six Cairns that played Toto in a production of “The Wizard of Oz” on ice, lived in luxury hotel rooms, were chauffeured by taxis to each show, and had personal maids. No Toto, this isn’t Kansas anymore! 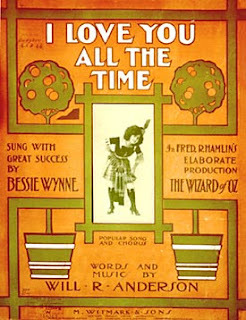 Inspired bythe 1903 Musical ExtravaganzaThe Wizard of OzMusic by Justus Ringleben Jr.This fascinating and little-known piece of music was clearly inspired by Fred Stone's performance in the 1903 Wizard of Oz musical. 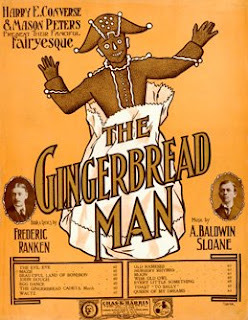 The cover illustration by Starmer features three different Scarecrows--all modeled on Fred Stone's charcter from the show.This song sheet was published by Carl Fischer in 1903. The music has no lyrics and it was never performed in the famous Broadway show. 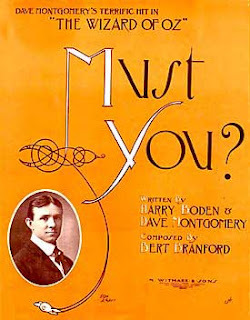 In several years of searching only one incomplete copy of the sheet music has been found. It included only the cover and first and last pages of music. The middle two pages have not been located. However, the song was recorded several times! 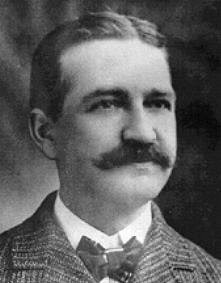 It is known to survive as both a five-inch Edison Concert cylinder and also as a standard two-minute Edison cylinder. Both date from 1903. It was also recorded as a 10 inch disc as Columbia 1789. It is a Harmony Records A169 pressing of the Columbia master that is offered for your enjoyment here. Sung by the Tin WoodmanI must have been a silly sort of joshWhen I went and spliced Matilda Jane.I thought at the timeI was in for something prime,But very soon found out I was insane.The fact is she’s a lot too fond of me,Never on my own she lets me stray.And if by chanceI should go into a saloon,All my pals will look at me and say:“Must you have the missus with you?Can’t you come out on your own?Must you always have a keeper?Ain’t you old enough to be alone?Why don’t you take her out and lose her?Why be such a silly elf?If there’s any beer wants mopping,Can’t you mop it up yourself?”This morning I turned in at 3:25I knocked upon the door and rang the bell,But she sleeps so soundAnd so far above the ground,I had to standout in the street and yell"Matilda, do come down and let your hubby in,I'm freezing and so weak for want of sleep. "But she only put on airs and said,"It's too far down the stairs,Now please be contented in the street. "Must you have a bed to sleep in?Can't you stand up in the corner for a nap?Think of those six-day bicycle riders,Have to sleep in every other lap.Don't you know that sleeping's all a habit?I feel it coming on and must turn in;Now you stay there until the morning,And I'll call a cop and run you in." Lyrics A Bumblebee was buzzingOn a Yellow Hollyhock,When came along a turtle,Who at the bee did mock.Saying, "Pritheee Mr. Bumble,Why make that horrid noise?It's really quite distracting,And everyone annoys. ""Im sorry," said, quite humble,The buzzing droning bee,The noise is just my bumble,And natural you see.And if I didn't buzz so,I'm sure that you'll agreeI'd only be a big fly,And not a bumblebee." Poppies and Poppy QueenThe Poppy Field.The scene shows an extensive field of poppies, 30 or 40 young ladies dressed in costumes representing the poppy flower. They are so arranged that they practically fill the entire stage. The stage is in total darkness at the beginning of this scene. Gradually the lights are raised on the stage beginning red and gradually building up to a pale white light. 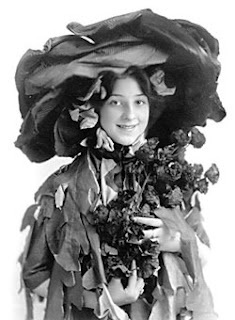 All the girls stand with their hats alone showing. They sway their bodies and pantomime with their heads.Poppy Flowers:We are poppiesIn fairest splendor Blooming fragrant alwaysThrough the mosses andThe grasses loomingFascinations rare assuming.We delight when alone to passThe moments gaily at playEvery petal graciously nodsOur many charms to display.Poppy Queen:For death like a breath,Comes to all soon or lateAnd mortals are the sportOf a mischievous fate.So welcome the peace That we bring to mankindIt is happiness to dream on,With every care left behind.Poppy Flowers:We are poppiesIn fairest splendorBlooming fragrant alwaysThrough the mosses andThe grasses loomingFascinations rare assuming.We delight when alone to passThe moments gaily at playEvery petal graciously nodsOur many charms to display,Our charms to display,Our charms to display. 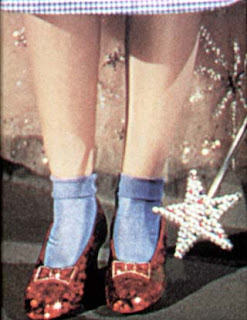 Red shoes sells at auction for $225,000 though they were silver in the original book.